Wondering which candles would make the best investment for an informal but stylish dinner at home? 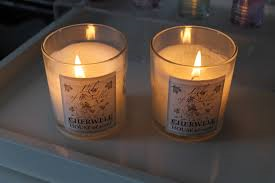 These scented candles with a motive will make your house feel like a home, nothing does the trick as fast a lush scented candle, they are every woman’s dream. An impeccable choice that will decorate your table beautifully! Burning time is approximately 36 hours; it could be the trademark scent of your dinner! Material: glass with a lid.